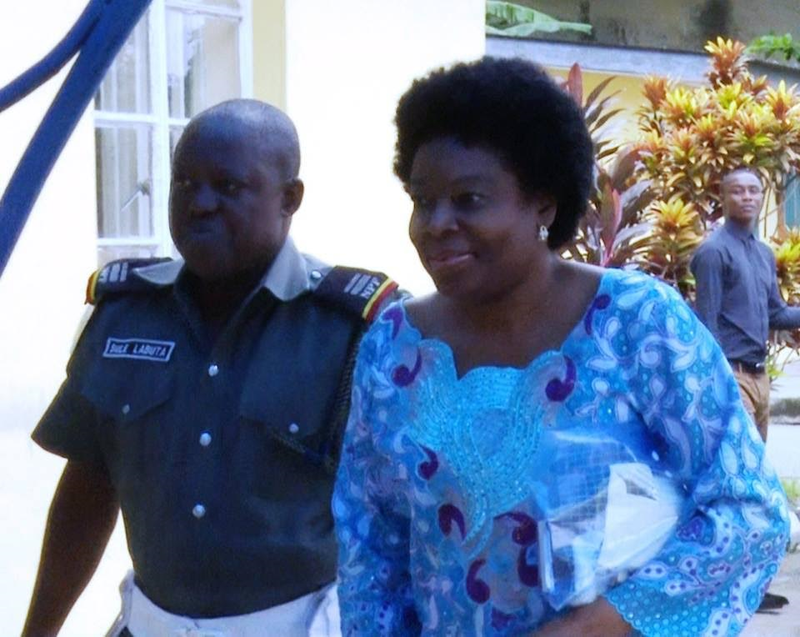 The Economic and Financial Crimes Commission, EFCC, on Thursday, June 22, 2017, arraigned a former Minister of State for the Federal Capital Territory (FCT), Jumoke Akinjide and one Olanrewaju Otiti before Justice J.O Abdul-Malik of the Federal High Court sitting in Ibadan, Oyo State on an amended 12-count charge bordering on money laundering to the tune of N650 million. While Akinjide and Otiti are facing trial on counts one to 12 of the amended charge, the third accused person, Senator Ayo Ademola Adeseun, who failed to appear in court today, is facing trial on counts one to 24. The accused allegedly received the money from a former Minister of Petroleum Resources, Diezani Alison-Madueke in the build- up to the 2015 general election. The money was part of the $115m allegedly disbursed by Alison-Madueke to influence the outcome of the 2015 presidential election. During today’s proceedings, Bolaji Ayorinde, SAN, counsel to the first defendant, Akinjide; Michael F. Lana, counsel for the second defendant, as well as Adeniyi Ishola, counsel for the third defendant, filed four applications asking the court to strike out of the charges against the first defendant, while also challenging the validity of the amended charge brought by the prosecution counsel, Rotimi Oyedepo. Counsels to the first and second defendants told the court that there was no charge before the court, arguing that there was no application by the prosecution counsel, stating and informing parties on the amendment of the originated charge brought against their clients. Ayorinde told the court that the amended charge brought by the prosecution did not have a "seal" of the Nigerian Bar Association, NBA. He, therefore, prayed the court not to take the pleas of the defendants. However, Oyedepo objected to the applications, saying that the amended charge before the court was duly filed and served on the defendants. In a short ruling, Justice Abdul- Malik held that the original charge be substituted with the amended charge and ordered the first and third defendants to take their pleas. Not satisfied, the two defence counsels withdrew their appearances for the defendants and angrily walked out of the court. One of the charges reads: "That you, Mrs. Diezani Alison-Madueke (still at large), Oloye Jumoke Akinjide, Senator Ayo Ademola Adeseun and Chief Olarenwaju Otiti on or about the 26th day of March, 2015, in Nigeria within the jurisdiction of this Honourable Court conspired amongst yourselves to directly take possession of the N650, 000, 000.00 (Six Hundred and Fifty Million Naira) which sum you reasonably ought to have known forms part of the proceeds of an unlawful act". However, when the charges were read to them, they pleaded not guilty. Counsel to the State informed the court that the first and third defendants had initiated a plea bargain discussion with the prosecution and asked for a short adjournment to enable the parties to perfect the negotiation. We have entered a plea bargain before today's proceedings and we intend to consider their applications as regards the agreement of the plea bargain. “ I pray the court for a short date to perfect the arrangement of the plea bargain and in the likely event where their applications are not granted, I humbly ask for a trial date," Oyedepo said. He also pleaded with the court to remand the first and third defendants in the EFCC custody. Counsel to the third defendant, Otiti, filed and served an application for bail and urged the court to grant his client bail on self-recognizance.